Both schools in the Federation are very proud to have been rated as good or better by Ofsted. The Infant School was last inspected by Ofsted in April 2008 and was graded as outstanding. The Junior School was last inspected in November 2018 and wasgraded as good; both reports are included below. However, Ofsted reports do not give the whole picture of a school and can't capture many of the exciting, valuable and memorable experiences that our children benefit from on a day to day basis. If you would like to find out more about what happens at one of the Ladysmith Federation Schools, please contact the relavent school office to make an appointment. 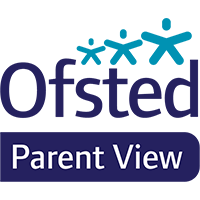 Parent View gives you the chance to tell us what you think about our school. Parent View asks for your opinion on 12 aspects of our school. By sharing your views, you’ll be helping your child’s school to improve. You will also be able to see what other parents have said about our school. The site requires your email address and a password to complete the questionnaire. If you fill in the questionnaire more than once for any school using the same email address, the previous entry will be over-written. Parent View is designed so that there will only ever be one questionnaire from each email address for a specific school in that school year.